Ideal for sketching or writing, this journal is sure to spark inspiration wherever you wander. A ribbon bookmark permits quick reference. 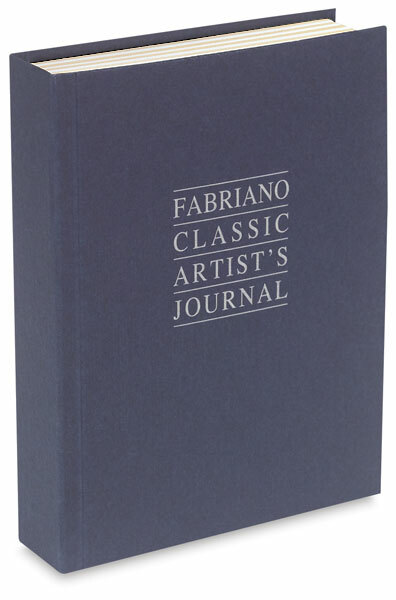 These 192-page journals contain white and cream Ingres drawing paper. The paper is a great paper for ink, pencil, or pastels. It's mouldmade, acid-free, and lightfast. Available in 2 sizes: 4 ½" × 6 ½" (11 cm × 17 cm) and 6 ½" × 8 ½" (17 cm × 22 cm). 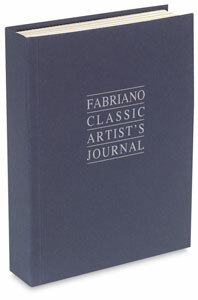 Blue cover with white and cream pages.